The B.C. 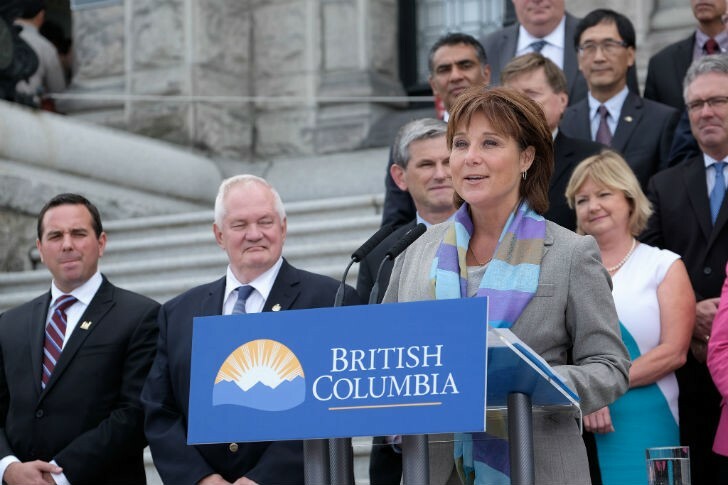 government has passed legislature enabling LNG project agreements sets the stage for unprecedented levels of investment, job creation, and economic activity, announced Premier Christy Clark. The B.C. legislature reconvened for a special summer legislative session July 13, 2015, to debate Bill 30, the Liquefied Natural Gas Project Agreements Act, which provides the legislative authority for government to enter into LNG project agreements. The bill received Royal Assent today. The act allows for ratification of the first LNG project agreement, signed with Pacific NorthWest LNG. Through these agreements, Pacific NorthWest LNG is expecting to make the biggest private sector capital investment in B.C.’s history, worth approximately US$36 billion. The project is expected to create 4,500 jobs at peak construction, in addition to hundreds of long-term operational and spin-off jobs. The project is expected to generate an estimated $8.6 billion in additional provincial revenue by 2030 through taxes and royalties. In June, Pacific NorthWest LNG announced it had reached an investment decision subject to approval of the project agreement by the B.C. legislative assembly and a positive regulatory decision on the project’s environmental assessment by the federal government.